Unitec Institute of Technology has park-like grounds with many beautiful trees. 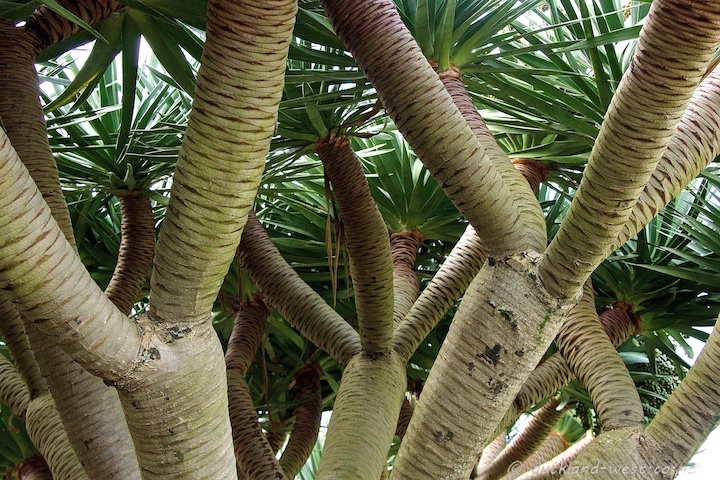 Among them several groups of Dragon Trees (draecena draco). Here a view into the crown of one of them.